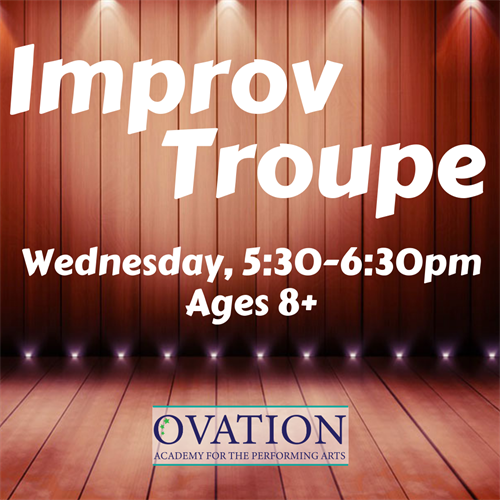 Improv Troupe - Mar 27, 2019 - Oak Park-River Forest Chamber of Commerce, IL ? Make them laugh, make them cry, and keep them entertained! Classes focus on giving young performers the confidence to grip an audience and the skills to captivate. Students will become more spontaneous, creative, playful and imaginative, all while developing valuable theater and interpersonal skills. With an exciting mix of games, techniques, group scenes, monologues and more, students are sure to leave class feeling accomplished and energized! Wednesday, 5:30-6:30 pm starting 1/26 through 5/12.